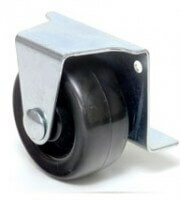 When choosing a furniture caster, consider the rolling surface. Use a cushion, resilient material such as rubber or urethane on hard surfaces (wood, tile, etc.) 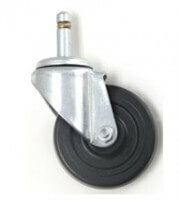 and a hard material such as metal or plastic on carpeting. If the piece is to transition between both types of surface, use the resilient tread to avoid damage to the floor. 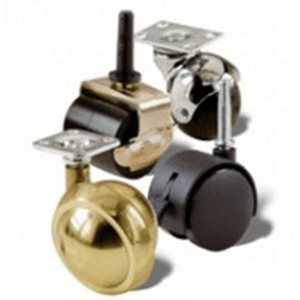 Furniture casters are available in a wide range of colors and styles, from retro to contemporary to the purely functional. We can help you find the best one to suit your application and complement your décor.